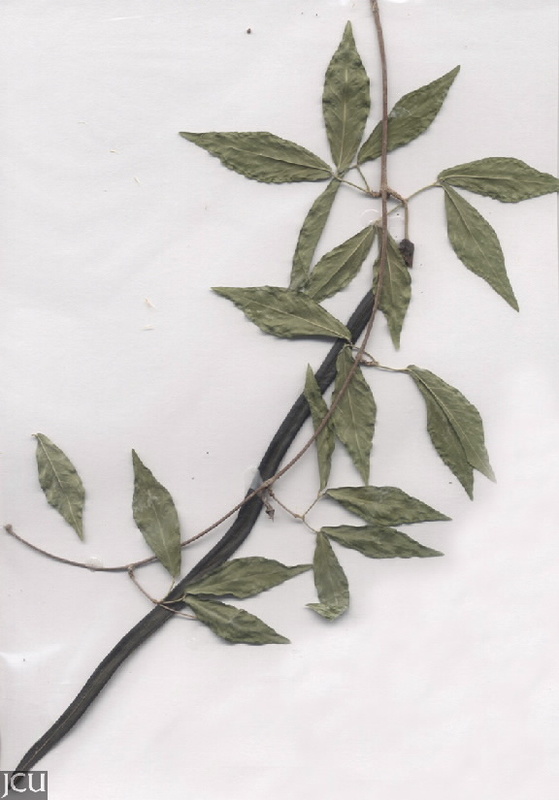 This class 3 weed is distinguished by the opposite, compound leaves each leaf consists of 2 paired leaflets with a three-pronged tendril at the apex, bent to resemble a claw. The bell-shaped flowers are yellow to about 7 cm long and the fruit is a flat capsule to 45 cm long which contains numerous winged seeds. New growth regularly appears from underground tubers. This vigorous vine was introduced from Argentina and Brazil. Flowers November to January. This species has recently been transferred to another genus, so now it is Dolichandra not Macfadyena (2009).